As part of Chamber Choir Ireland’s residency in the National Concert Hall, Choirland presents a prestigious line-up of contemporary composers joining the voices of those heard previously in the Composing the Island series. Central to the programme is a newly commissioned work by Belfast-born composer Stephen McNeff and Irish poet Aoife Mannix as a response to the commemorations of the 1916 Rising. The work was co-commissioned by Chamber Choir Ireland and the Cork International Choral Festival and was premiered at the Festival on 29th April 2016. Woven around this work are some of the leading composers writing in Ireland today. David Fennessy is a guitarist and lectures in composition at the Royal Conservatoire of Scotland. His piece Letter to Michael is the first in a series of three pieces to be written for Chamber Choir Ireland between 2014 – 2018. 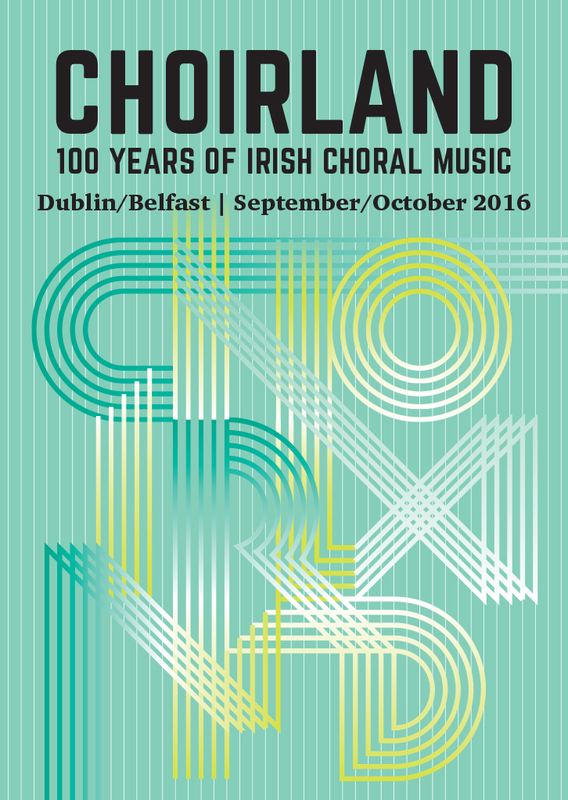 ChOirland, his other work, gives us the title of the programme and the title of a joint publication from Chamber Choir Ireland, Contemporary Music Centre and Association of Irish Choirs – an anthology of Irish choral music marking the 60th anniversary of the Arts Council in 2012. Gerald Barry, one of Ireland’s best known contemporary composers internationally, is a recipient of the Royal Philharmonic Award for his opera The Importance of being Ernest. A selection of Gerald’s choral and instrumental music Barry meets Beethoven was released on the Orchid Classics label in June 2016. Ending this choral tribute is a work by Dublin-based composer, conductor and bass-baritone Eoghan Desmond. Eoghan has both performed with and composed for Chamber Choir Ireland. His piece More Mother Goose Melodies is the second set of pieces in a series – the first being the winning entry to the 2015 Seán Ó Riada Composition Competition at the Cork International Choral Festival. Further performances in Belfast are supported through the Arts Council’s North/South Touring and Dissemination of Work Scheme in collaboration with the Arts Council of Northern Ireland and Moving on Music, and in Dublin City University supported by CCI’s artistic affiliation with DCU.